On August 13, 2013 Baltimore County Police Officer First Class Jason Schneider, a member of the county’s elite Special Weapons and Tactics Team, was tragically taken from his family during the service of a search warrant in Catonsville, MD. During the execution of the warrant, Jason bravely led his team into the residence where he later encountered gunfire and was mortally wounded. Shortly after learning of this tragic event, members of the Baltimore County Police Department quickly looked for a way to assist Jason’s young family, including his wife and two children. 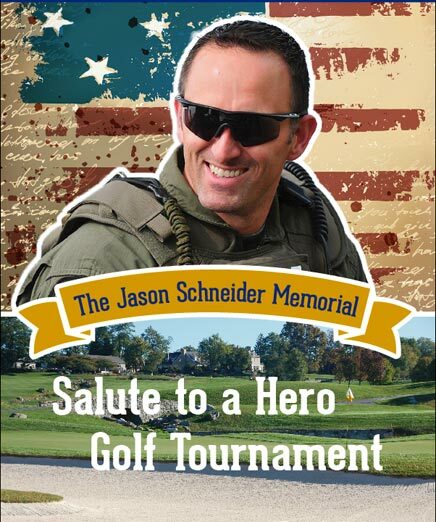 Members of the department’s Firearms Training Team chose to orchestrate a golf tournament, dedicated to the memory of Jason. The inaugural golf tournament was held on May 5, 2014 at Hayfields Country Club in Hunt Valley, MD. The tournament was a great success, attended by law enforcement officers and business professionals from the Baltimore area and beyond. Shortly after the tournament, several prominent businessmen contacted the event organizers and expressed a desire to make the tournament and associated cause, a yearly event. The Blue Valor Foundation was formed shortly thereafter. The foundation currently has 7 board members (5 voting, 2 advisors) and meets monthly. As of April, 2015 the foundation is currently a 501 c3, charitable non-profit.